Apr. 8 (NBD) -- "In Hong Kong, people generally pay cash or use a credit card for purchases and their life is not affected without Alipay, but it's different in the mainland. If I use a car-hailing software, I'll need a mainland bank card, which is troublesome to get because I need to open an account with a bank on the mainland first," complained a Hong Kong-based insurance agent who frequently travels to the mainland China. 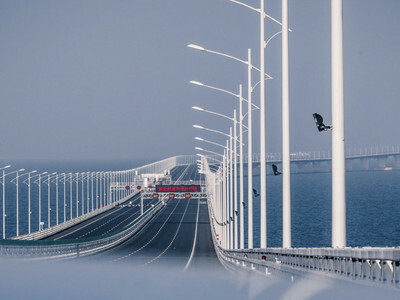 Since China unveiled the development plan for the Guangdong-Hong Kong-Macao Greater Bay Area (GBA), the exchanges in the insurance sector between the mainland and Hong Kong has been increased. For the above-mentioned insurance seller, he/she visits the mainland almost every week and encounters inconvenience in payment when using a car-hailing software. Although geographical connectivity within the GBA has brought about multiple opportunities for the financial sector, the integration of the practices and rules of the three places will not be achieved overnight. And, the mobile payment domain has become a showpiece for the financial industry to try innovation and breakthrough. Fan Yifei, PBOC deputy governor, said that efforts should be made to streamline cross-border payment further within the GBA, satisfying the GBA customers' financial needs on the one hand and gathering experience for cross-border use of mobile payment on the other hand. Tan Yaozong, a legislator echoed Fan's view during China's Two Sessions legislative meetings, saying now that many Hong Kong people intend to work, start businesses or live on the mainland, they want more convenient services, universal means of mobile payments, to start with. Aside from connectivity in payment, the cross-border asset management market worth hundreds of billions of U.S. dollars should not be ignored. According to the Securities and Futures Commission, the asset and wealth management business in Hong Kong has amounted to HK$24.27 trillion (3,192 billion U.S. dollars) as of 31 December 2017. Also, overseas investors remained a major source of funding for the asset and wealth management business, accounting for 66 percent. The total assets under management of the private banking and private wealth management business amounted to HK$7,812 billion, of which 52 percent was invested in mainland China and Hong Kong. Hong Kong's asset management market has long had a close relation with the mainland and the cross-border asset management within the GBA boasts great potential. A survey conducted by the Hong Kong Investment Funds Association targeting the GBA investors showed that 49 percent of the respondents in Guangdong listed Hong Kong stocks as one of their top 3 investment options in the following 12 months and 27 percent chose to buy Hong Kong insurance in addition to stocks. The Hong Kong respondents allocate an average of 19 percent of their wealth in regions outside Hong Kong, 8 percent of which goes to the mainland. To boost investors' access to each other's financial markets, Hong Kong's financial regulatory authorities were reported to be in talks with counterparts in mainland China about modeling cross-border "wealth management links", another move to expedite financial connectivity after the stock-connect programs.